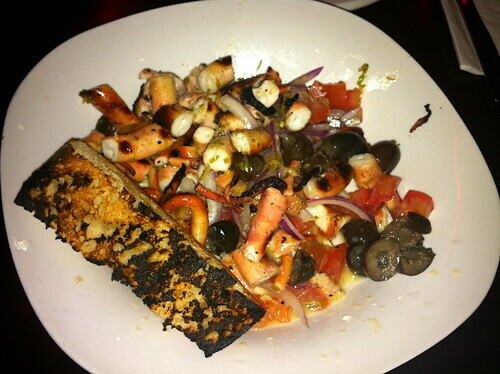 In our short time in the Finger Lakes we had two really nice meals in the area. Well, really we had three – our friend Laura’s mom made a beautiful brunch for their reception, with a particularly decadent dessert table. However, since I can’t very well go inviting everyone to their house, let me focus on the places I can send you. As I mentioned yesterday, neither Greg nor I really cared for most of the wine we tried at Glenora’s tasting room. The restaurant, however, was a completely different story. We stopped in for a late lunch to fill our bellies while we waited out a rainstorm. As we walked in, the restaurant was strangely quiet. I can only assume that people were way too engrossed by their food to be chatting, because everything proved to be very good. Since we were trying to slow the effects of our many wine tastings, we decided against ordering any with lunch, and skipped right to the food. 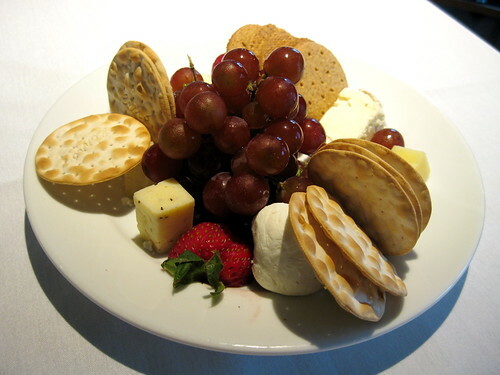 We began with a local cheese platter. They’re available in portions for one or for two people, but we decided on sharing the platter for one. This turned out to be a good choice, since it was a very generous serving. For my main, I opted for the “Cuban” Smoked Pork Sandwich. Normally, I would avoid something like a Cuban Sandwich in a place as completely removed from its place of origin as Upstate New York is from Cuba, but I was tempted by the recommendation of the waitress and the idea that maybe hangover food could help prevent the hangover. I was very pleasantly surprised. The pork had good texture and the ratio of pork to ham was right on. 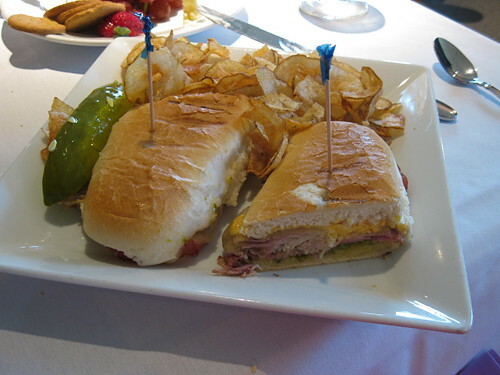 A lot of Cuban sandwiches have way too much ham and not enough pork, which should be the star in my opinion. Everything is tied together with a little gherkin relish and chipotle aioli to give things a kick. 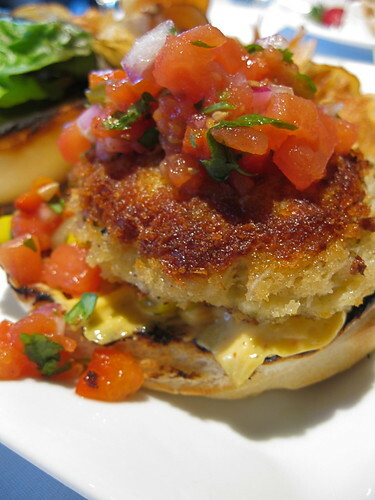 As good as my sandwich was, the winning dish was definitely Greg’s Jumbo Lump Crab Cake Sandwich. To begin with, it was just a beautiful plate. The cake was made up of big chunks of crab and fried to form a crispy, golden crust. Corn relish and tomato salsa kept the flavors fresh and that same slightly spicy chipotle aioli perked everything up. If we ever have the chance to get back to the area, I would happily come back for the complete fine dining experience at dinner. 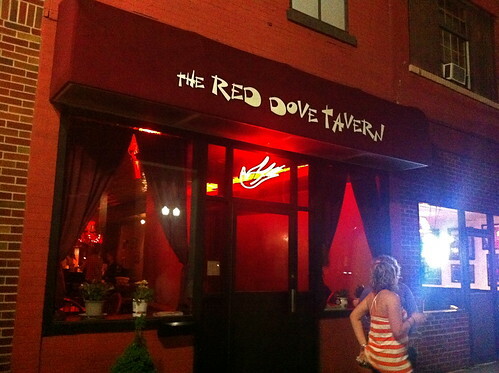 For dinner we headed to downtown Geneva to the Red Dove Tavern, which Greg found through a Yelp search. To be honest, I didn’t expect to find a place like this in a small wine town. 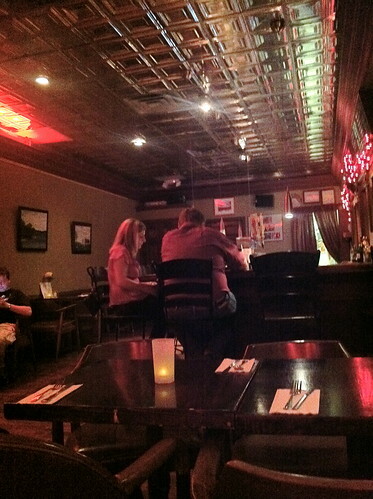 It had a gastro-pub vibe with funky décor and red lighting. In addition to the list of beers, they also had a selection of local wines on tap – and it seemed they shared our tastes, since wines from our two favorites, Billsboro and Hermann J. Wiemer, were featured. 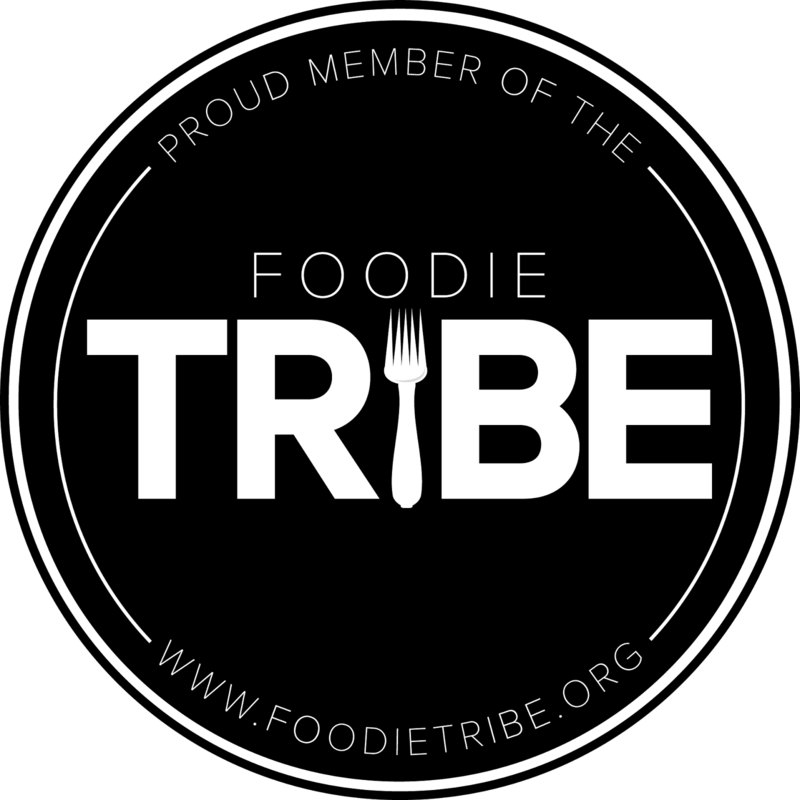 The menu is seasonal, locally sourced, and creative. Portions were generous and well-priced. Not every dish was perfect, but nothing was boring. We split a plate of the Grilled Octopus, which was slightly over-done, but had really lovely flavor complimented by a nice char on the outside. 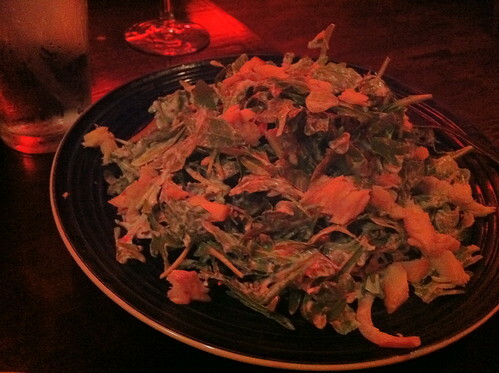 I thought my smoke trout salad had a little too much dressing, but was tasty. There were also big slices of pickled tomatoes, something I’d never had. They had interesting flavor, but could be a little overpowering at times. I think smaller pieces might have integrated better. The dishes that scored, scored big. 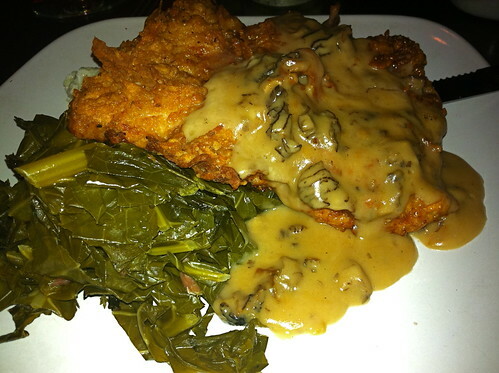 Greg ordered the Chicken Fried Pork Entrée. The pork was crispy and the batter had a nice seasoning to it. It came with collard greens and cheddar grits. Rather than being served creamy, they were fluffy like mashed potatoes, but had nice cheesy flavor. I stole several bites. This was a very tasty plate of comfort food. 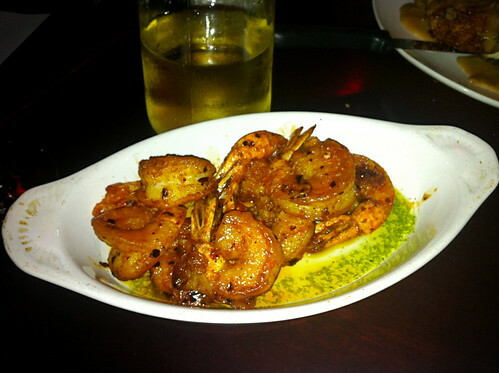 The biggest winner of the night was a version of the Spanish dish, Shrimp Pil Pil that was on special that night. I’m not certain, but the shrimp seemed to have gotten a very light dusting of something before hitting the grill that created a hint of crust and added texture, which then blended beautifully with the just spicy-enough chili sauce. Delicious! Despite the modern vibe of the restaurant, we got a lot of small-town warmth from the servers. Both the hostess and the waitress were perky and friendly -- almost to the point that can make urbanites suspicious, but was ultimately charming. After we started chatting with our waitress about our wine adventures of the day -- what we liked and didn’t-- she brought us a sample of the Cab Franc from Atwater to try. She happened to bring the samples just as Greg was reviewing the check. Initially I thought, ‘Smart girl knows how to get a tip;’ but on second thought, no – I really think she was just genuinely nice. It was a really great meal and we raved about it the next day at brunch. One note to be aware of. Despite the fact that Downtown Geneva is well kept up and holds its New England charm, it seems that some parts of town are experiencing economic trouble. We walked a little ways up from the restaurant and a surprising number of buildings were boarded up. It felt a little desolate. More seemed to be happening on the streets that ran north to south, heading towards the waterfront from the restaurant. If you’re looking for something to do after dinner, I’d head in that direction. We had a really lovely weekend, but in the future, I would make this trip into a long weekend. We left on a Friday and came back on Sunday, and that timing was a little tight given the long drive from NYC. We got in a good number of wineries and a couple of delicious meals, but we didn’t get a chance to do any hiking to see any of the famously beautiful gorges and waterfalls in the area. Well, shucks! I guess we’ll just have to go back. 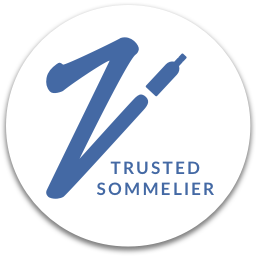 For more on the wineries in the area, click here. I agree with much of what "Nibbling Gypsy" states here. It is a charming little gem in Geneva. Something I couldn't help myself from mentioning: It is NOT New England, so I have no idea how the term, "New England charm" was relevant to a quintessentially Western/Upstate NY town. I've lived in New England & this area of NY, and they definitely could not ever be confused (Knowing the New Englander as I do, if one even dared to describe anyplace in New England as having "NY charm," the New Englanders would likely take great offense). Personally, I much prefer NY, and there is MUCH more to NY besides NYC, but I digress. Thanks for your comment Marci. I will be more careful in the future to not conflate Upstate NY with New England. As to the comment about the "seedy" part of town, I apologize if it was offensive in some way, however, the background of the area having a tough time recently was given to me by friends and friends of friends who grew up in the area and described this to my husband and I when we discussed our impressions with them. However, I do hope it is having a ranaissance and overall we really enjoyed our time in the area and absolutely hope to go back.